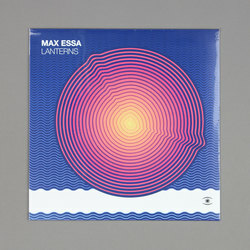 Max Essa - Lanterns. Vinyl LP. Bleep. The gentle, washed out tranquility of Max Essa’s premiere release on Copenhagen label Music For Dreams is a work of relaxed and brilliant lambency. The Japan based producer and DJ has been operating as such since the early nineties, with pioneering figures such as the late David Mancuso classing himself as a fan of the electronic producer. The content of Lanterns is an intergalactic sun-drenched excursion released on an imprint that could not possess a more fitting title had it tried. From the opening sequence of ‘Lanterns’ the track seems to almost glide towards its final destination, a tinkering ambient key progression enchanting listeners along the way.